At roughly $2.85 CAD, these are a steal. I got these at WalMart on a whim as I wanted to try bright lip colours, but didn't want to spend a lot of money in case it didn't work out. I chose a bright berry red, a coral and a dusty rose colour. 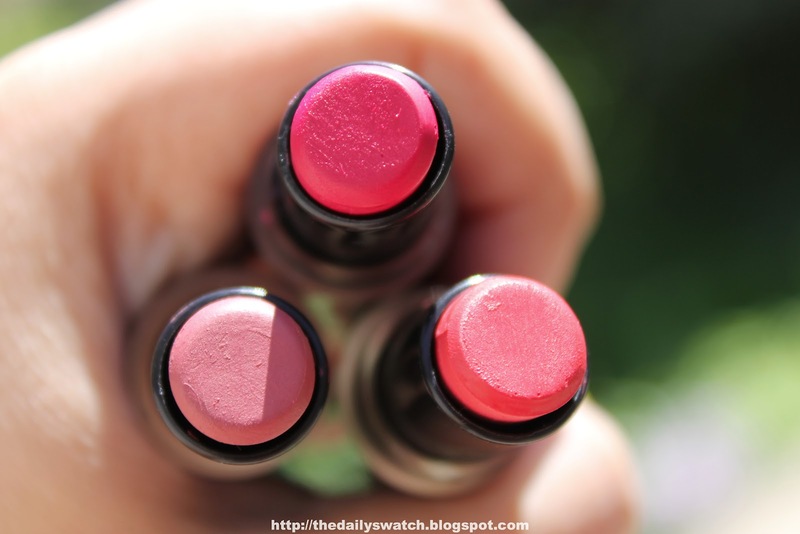 These are matte lipsticks that are soft and rich in colour. I can't believe they were under $3 each and I think I'll get some more. However, I discovered that I'm not really into bright colours as In the Flesh is my favourite of the three. Using the other two lightly gives a hint of colour, which I like. 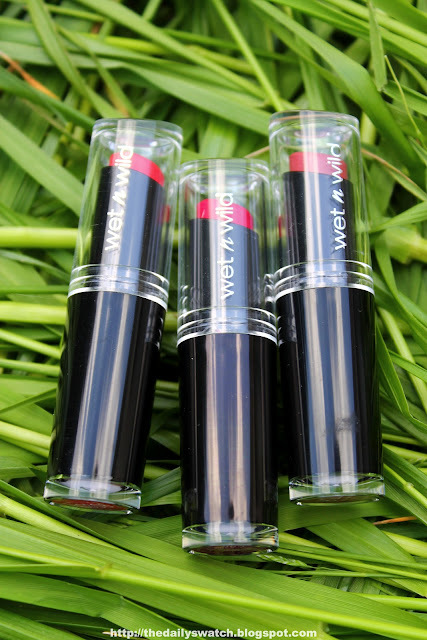 As they are matte finish, they can be drying, and so applying a thin layer of lip balm before can help keep your lips moisturized. If you're looking for inexpensive lip colours with a wide range of shades, give Wet n Wild a try. 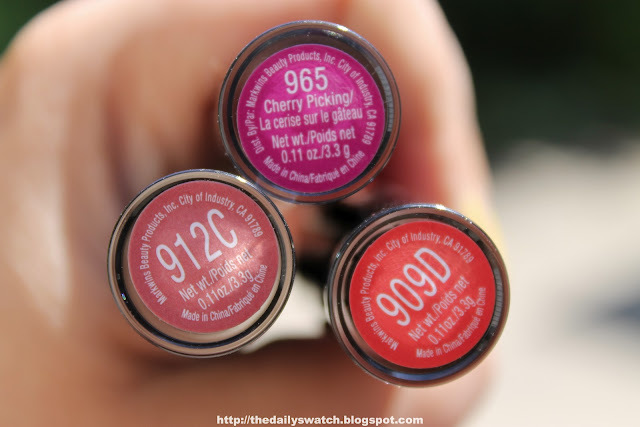 If you don't have access to Wet n Wild products, a good dupe for these are the E.L.F. 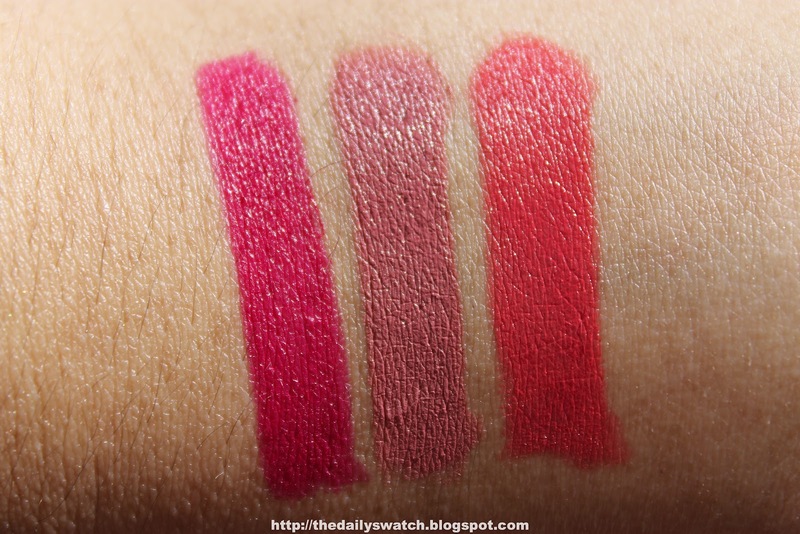 Studio Matte Lip Colors which are $3 each and available online. 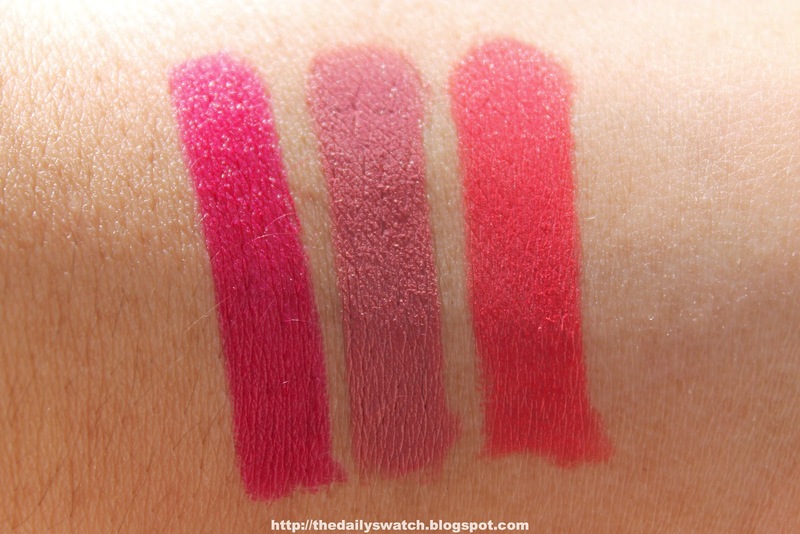 Beautiful swatches, perfect for summer! I bought a really pink one, It reminds me of Nicki Minaj, but they arent so bad for being inexpensive.